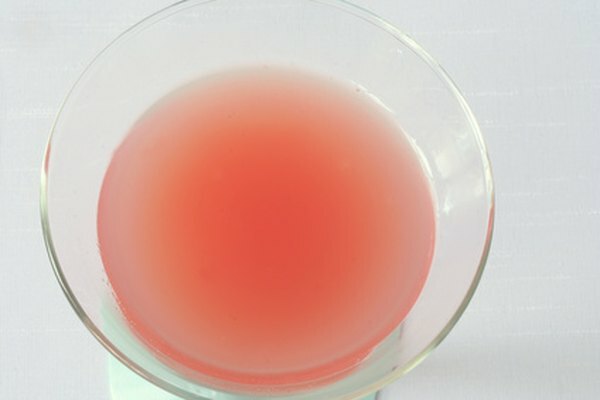 Grapefruit juice has a tart, tangy taste with an underlying sweetness. It has many benefits including a significant amount of potassium, magnesium and fiber. The American Dietetic Association recommends two to three servings of fruit a day. A small glass of 100 percent, low in sugar grapefruit juice is a convenient and healthy way to reach your daily fruit intake. The National Institutes of Health created the Dietary Approaches to Stop Hypertension, or DASH, eating plan as a way to lower high blood pressure and incorporate healthy foods on a daily basis. Two studies conducted by The National Heart, Lung and Blood Institute, listed in the DASH diet, showed that blood pressures were reduced with an eating plan that is low in saturated fat, cholesterol and total fat and that emphasizes fruits and vegetables including grapefruit juice. For maximum benefits 1/2 cup of grapefruit juice, along with other fruits, is recommended for the DASH diet. The American College of Cardiology recommends controlling diabetes by eating less fat and sugar and swapping these foods with citrus fruits including grapefruit juice. By replacing fats and refined sugar with grapefruit and citrus juice, your diet will have less fat and more nutrients. Grapefruit juice also contains a high amount of potassium, which is an essential mineral important to diabetics because it works to maintain fluid balance in the body, cell structure and nerve transmission. The National Cancer Institute recommends brightly colored fruits and vegetables, such as pink grapefruit juice, as a good source of lycopene. Lycopene is the pigment that gives foods its pink or red color and is associated with a lower risk of prostate cancer and cardiovascular disease. Aim to drink a glass of grapefruit juice once a day because lycopene is not produced in the body and you can only obtain its benefits by eating or drinking lycopene-rich foods and beverages. Grapefruit juice contains pectin, a form of soluble fiber that has been shown in studies to slow down the progression of atherosclerosis. A study published in Journal of Agricultural and Food Chemistry showed that grapefruit juice can reduce blood levels of LDL, or bad cholesterol, and red grapefruit juice can lower triglycerides as well.